We are pleased to announce the opening of the registration for the Brussels Summer School on EU competition law. A unique faculty consisting of experienced legal practitioners and economists, Commission DG Competition officials and General Court référendaires. A wide overview of competition law (Articles 101 and 102, merger control and state aid). A rare opportunity to meet leading practitioners in the field and to build a network. The Summer School has been carefully conceived to provide participants with a comprehensive understanding of EU competition law as it is currently applied in practice. The programme is organised under the umbrella of the Institute of European Studies (IEE-ULB) and of its competition law workshops “Mardis du droit de la concurrence”. 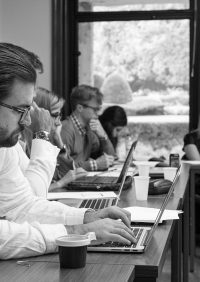 The IEE, founded in 1964, has been at the forefront of the study of EU law for decades and will provide the ideal academic environment for the Summer School. The setting of the Summer School in Brussels will create a unique environment that will allow participants to gain a deeper understanding of EU competition law. The classes are taught by experienced practitioners and officials of the Commission Directorate General for Competition and Legal Service and of the Court of Justice. The small size of the group will allow for interactive exchanges with the faculty and the other participants. The Summer School is designed for lawyers, economists, public affairs consultants and civil servants who wish to acquire and consolidate an in-depth knowledge of EU competition law. It will provide the participants with a general overview of competition law as it is currently applied provided by experienced practitioners. The Summer School will award four scholarships. They include a full waiver of the fees based on motivation and inco­me criteria. Registration to the Summer School will take place on a first come, first served basis upon receipt of the payment of the fees. However, the number of participants will be limited in order to ensure interactivity.